Able Mechanical is proud to be serving North Texas as a metal fabrication shop with local heating and cooling repair experts since 1977. Located in Denton County, our services expand both locally and throughout the DFW Metroplex. 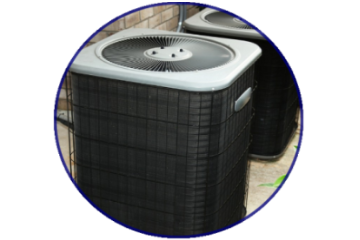 Able Mechanical specializes in A/C & Heating Repair, New Construction, and Sheet Metal Fabrication. 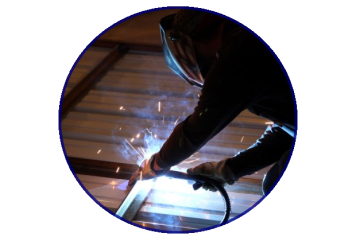 No matter the request, Able Mechanical's Expert metal fabrication shop has the faculty, experience, and tools to find solutions for you! Able Mechanical offers yearly residential and commercial service contracts. Planned service increases system reliability, but should an emergency arise, our service plan provides for preferential treatment. Able Mechanical offers multiple options. Based on our experience with systems similar to yours, we develop options and together develop a plan that meets your needs. Able Mechanical provides price protection. Your costs are fixed throughout the plan effective dates. Prices will not be raised for the following renewal periods without notifying you. Planned service agreements reduce the potential for emergency calls by revealing potential problems before they become problems! Regular system tune-ups reduce utility bills by keeping your equipment operating at peak efficiency, as well as minimizing the costs of lost time, production or product. We welcome the opportunity to discuss what planned service may do for you. Commercial service plans are also available. Able Mechanical offers site specific planned service agreements tailored to the individual requirements of our commercial accounts. Our planned service agreements provide: Peace of mind, scheduled periodic inspection, cleaning, lubrication and adjustment of your cooling and heating systems and keep them operating trouble free at peak efficiency. We love working with Able Mechanical. We have been with them since 2012 and not ever had any complaints from any of our customers or our installers. I would highly recommend them to anyone. I want you to know how much Jason’s Deli - Denton appreciates the excellent service you provided us over the years. Your team’s attention to details, great communication skills, punctuality and ready smile are top notch. I would not hesitate referring your service to other business in the area. Again thank you for the out of this world service.